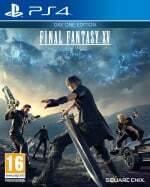 Have you completed that embarrassing Cup Noodle quest in Final Fantasy XV? Were you disappointed that you weren't rewarded with some Cup Noodle headwear? 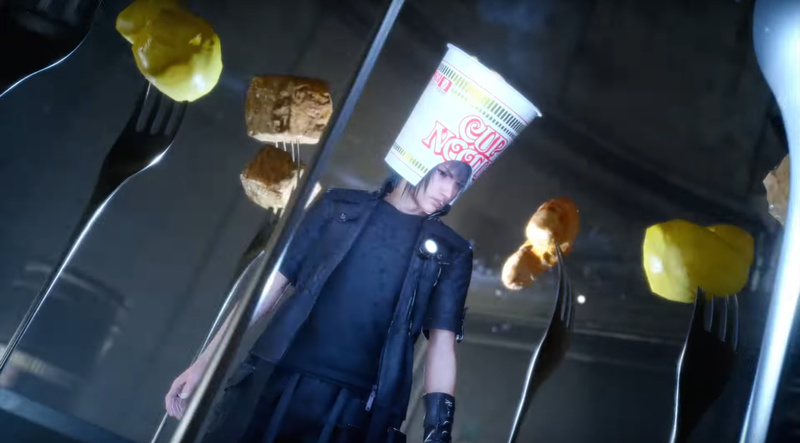 Yeah, us too, but don't give in to despair just yet, because Cup Noodle maker Nissin Foods has announced a Final Fantasy Cup Noodle collection in Japan - and the Final Fantasy XV edition comes with a code for a Cup Noodle hat that Noctis can wear. We guess that dreams really do come true. Gematsu mentions that buyers get access to the hat early, which suggests that it may be openly released later down the line. We can barely contain our excitement! That is the pic I'd choose at the end. I had a feeling this would be released. I was a bit disappointed there wasn't more outfits available from the start. Older outfits would definitely sell on psn cloud, squall,zidane or tidus would be awesome.